New Era 59fifty. Miami Heat 2X Champions Hardwood Classics Cap. Step 1 Obtain an RMA Number. Style Flat Cap. COLOR: Black. Size 7 1/2. Check your Order. - Write your RMA number on the box. Size 7 7/8 Flat Brim Embroidered Cap. Pittsburgh Pirates Logo Embroidered on Front. MLB Logo Embroidered on Back. 100% NEW ERA. Style Cap Hat. Black with Gold Embroidery. The pictures shown above are the exact item you will be receiving. New Era EK Collection Cabbie Cap/Driver Brown Spotted Size: Medium. Shipped with USPS First Class Package. Detroit Pistons New Era 9FIFTY NBA Snapback (Adjustable) Blk/Red Hat Cap Flat Bill. Embroidered Raised Detroit Pistons "DP" Logo On Front. NBA Logo Embroidered To The Right Of The Snap On Back. Stitched New Era Logo On Wearer's Left Side. Team: Atlanta Hawks. Style: Flat Cap. Size: 62.5 cm. Polyester Top / Polyurethane Brim. Embroidered Raised Detroit Pistons Logo On Front. Smaller Silver Embroidered Raised Detroit Pistons "DP" Logo On Back. Stitched New Era Flag On Wearer's Left Side. Oil tricked pattern brim. New Era cap/hat snapback adjustable. New York Yankees (MLB). Size 7 7/8 Flat Brim Embroidered Cap. Pittsburgh Pirates Logo Embroidered on Front. MLB Logo Embroidered on Back. 100% NEW ERA. Black with Gold Embroidery. 80% Wool, 20% Polyester. Detroit Pistons New Era 9FIFTY NBA Snapback (Adjustable) Beige Hat Cap Flat Bill. Embroidered Raised Detroit Pistons "DP" Logo On Front. Smaller Silver Embroidered Raised Detroit Pistons "DP" Logo On Back. MENS NEW ERA EK COLLECTION CABBIE CAP/DRIVER BLACK SZ LARGE. Shipped with USPS First Class Package. Pre-owned Detroit Red Wings New Era 9FIFTY NBA Snapback (Adjustable) Blk/Red Hat Cap Flat Bill. IridescentLigue Nationale de Hockey ("LNH") sticker on Brim. Embroidered Raised Detroit Red Wings Logo On Front. THIS IS THE REAL OFFICIAL ORIGINAL NEW ERA 9FIFTY SNAPBACK CAP! DON'T BE FOOLED BY IMITATION OR FAKES THIS IS 100% AUTHENTIC NEW ERA! Each item is thoroughly inspected for imperfections which will be clearly marked or described above. It happens. The item doesn't fit. You don't like it in person. Special Conditions. Hat is pre owned. Still has the sticker. In decent condition. A few small little marks on the hat. Noted in pictures. We reply fast! New Era 59fifty. Miami Heat 2X Champions Hardwood Classics Cap. Step 1 Obtain an RMA Number. COLOR: Black. Size 7 1/2. Check your Order. Color: Blue with Yellow Brim and Graphic Skyline. Size: Adjustable Snap Back. Colors May Vary Depending on Computer Screen We do our best to show details of color. AUTHENTIC NEW ERA 9FIFTYDC COMICS SUPERMAN VIVID VIZE SNAPBACK ! THIS IS THE REAL OFFICIAL ORIGINAL NEW ERA 9FIFTY SNAPBACK CAP! DON'T BE FOOLED BY IMITATION OR FAKES THIS IS 100% AUTHENTIC NEW ERA! Nice Red SnapBack cap with Scion logo. Hat is red. New without tags. Adjustable size. Adult size. AUTHENTIC NEW ERA 9FIFTYDC COMICS WONDER WOMAN RETROFLECT SNAPBACK ! THIS IS THE REAL OFFICIAL ORIGINAL NEW ERA 9FIFTY SNAPBACK CAP! DON'T BE FOOLED BY IMITATION OR FAKES THIS IS 100% AUTHENTIC NEW ERA! AUTHENTIC NEW ERA 9FIFTYDC COMICS SUPERMAN RETROFLECT SNAPBACK ! THIS IS THE REAL OFFICIAL ORIGINAL NEW ERA 9FIFTY SNAPBACK CAP! DON'T BE FOOLED BY IMITATION OR FAKES THIS IS 100% AUTHENTIC NEW ERA! 9Fifty New Era Cap. Snapback Adjustable. 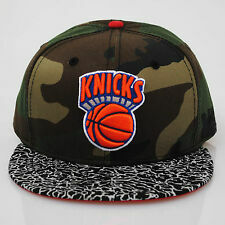 This is a Miami HEAT fitted hat. The hat is black with the 2x Champions with Heat logo on the front. This is a New Era 59fifty hat size 7.